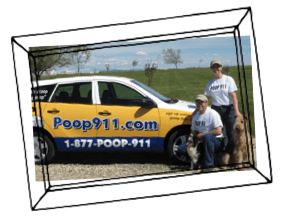 Owning Boise POOP 911 allows us to serve pet parents across the region—and that’s really rewarding. From litter box cleaning to poop pick up services to yard deodorizing, whatever your clean-up needs, our team of friendly techs can get it done in no time. Greetings from Boise POOP 911—the area’s reliable and efficient pooper scooper professionals! 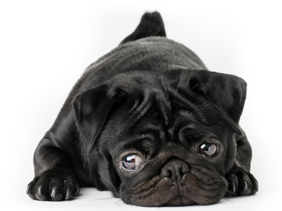 If you’ve been searching for a reliable, affordable pet waste removal solution, we’re here to serve. Playtime with your pets should be nothing but fun. We can help! Let’s keep our Boise neighborhoods beautiful! Get a customized quote for services to suit your community’s needs. We can install clean-up stations, restock dog waste bags, poop scoop designated areas, and more. This service helps us in so many ways and is such a relief to get this chore checked off our to do list! It allows us to spend more time with our children, take some much needed self care, get a few moments of quality time together, and be more productive so that we can focus on higher priority to do items! This company is professional, reliable, and thorough. This company is great. They are there like clockwork and come right before the lawn is mowed!Very reliable and i don’t have to leave the dogs inside while I am at work! We are relitively knew to this service, but I have to say we really love it so far! ❤️The man who does our lawn is so nice, and does a great job! And I don’t have to worry about sending my daughter out to the yard to play! Still had a ton of poop all over the yard. The first go around and I left a 3 star review. I have changed it to 5 because the owner called me and they came back out and fixed it. Good to know that people care about there customers and aim for perfection. POOP 911 Boise is absolutely fabulous. Not only do they take care of the chore I like least, they have amazing customer service. I contacted them with a very minor concern about my service and within 30 minutes they had someone at my house completely redoing my yard. That was far above and beyond my expectation. I highly recommend POOP 911 Boise! Very reliable service. They do a great job at a great price. Would definitely recommend. Wow. I am impressed. I had months of waste littering the back yard from over the winter, and Poop911 came by and cleared everything up. My yard looks so much better, and my dogs are happy too! Will continue to use this service! My best gift to me ever has been having POOP 911 pick up & remove the stinky poop bombs our BIG dog leaves. I don’t fight the wind & other weather elements and they’re dog- & owner-friendly, mega efficient & easy on the budget! 殺. Love,  love,  love POOP 911! I ran outside to thank the man who does such a super-great job of eliminating the dog bombs in our yard. I realized how CCCCOLD it was & how it’s SO WORTH IT to have this done for me, ESPECIALLY in the winter!!! They do an amazing job! Worth the money. My service team is awesome-. They always text when on their way, so i can put my dogs in the house as I have asked them to do. They get my yard super clean within minutes. They have even alerted me when they saw a change in the consistency- which let me know my dog was having digestion issues. Very professional and caring. Well worth the small fee they charge for their services.i highly recommend them! What a great service! Very reliable, always come on the scheduled days, and always leave a little note so you know for sure they were there. I’ve walked my yard several times after pick up days and I can’t even find where any waste used to be! How do they do that!? Would definitely recommend this company to everyone! We have been using this company for several years now and are happy with the results. They always show up and always get the job done. They were flexible with times so that we could coordinate them showing up prior to the landscape company that mowes for us. Two thumbs up from us.